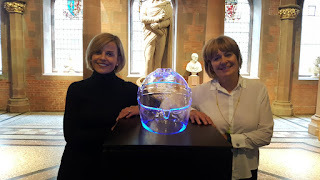 This highly unusual portrait sculpture, which has been created by Scottish artist Angela Palmer, recreates in crystal glass one of the personalised racing helmets worn by Susie Wolff during her career in F1. Formula 1 race helmets are tailor-made to exacting design specifications to provide the maximum physical protection for individual drivers. To create the portrait, Angela Palmer worked with a team of master glass blowers in Stourbridge near Birmingham (a world-famous centre for glass manufacturing), who made a mould of Wolff’s helmet in brass. Molten lead crystal glass, at a temperature of 1400°c, was then mouth-blown into the mould, forcing the crystal into every detailed crevice. The final stage in the process revealed a beautiful and delicate object whose fragility reminds us of the vulnerability (and bravery) of drivers like Susie, as they take extraordinary risks in pursuit of ever-faster speeds. Angela Palmer spoke about what inspired her creation, saying “I met my fellow Scot Susie Wolff, and was immediately struck by the strength of her character and her routine acceptance of the risks as a Formula 1 test driver. She was as gifted and fearless as her male counterparts; her goal was not to be the best female driver in the world, but to be the best driver in the world. This was a difficult proposition for many observers who struggled to overcome their prejudice in this male dominated environment. Interestingly, Susie’s helmet played a significant role in bestowing her equal status as a driver: once her helmet was on, no-one knew if she was male or female. The helmet gave her anonymity, and rendered the gender issue irrelevant. I became equally fascinated by that most potent ingredient which attracts so much of the sport’s following – the acute and heightened sense of risk as drivers slice between each other at over 350km/h with only millimeters to spare. 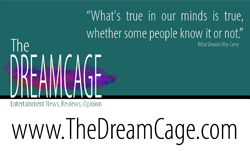 I chose crystal for its fragility, to echo the vulnerable membrane of the skull." Susie Wolff, who retired from F1 driving in 2015 and is currently Team Principal of Venturi Formula E racing team in Monaco, is also the founder of Dare to be Different, a high-profile initiative that helps to inspire and develop women who work in, or want to work in, the motor sport arena. Wolff's achievements in motor racing together, with her significant initiative to drive female talent in sport and beyond are an inspiration for today's generation of girls and young women. She was born in Oban in 1982, and grew up in the west coast town, where her parents owned a motorcycle dealership. From a young age Wolff raced karts, and in 2001 she began her professional motor racing career in the Formula Renault UK Championship, where she gained three podium finishes and was twice nominated for British Young Driver of the Year Award. After a brief spell in Formula 3, Wolff made her name with the Mercedes-Benz DTM Team (the German Touring Car Championship) between 2006 and 2012. In 2012 she moved into Formula 1, having being signed by Williams. She entered as a team development driver, holding the position for two seasons before being promoted to a test driver for the 2015 season. At the 2014 British Grand Prix, she made history by becoming the first woman to take part in an F1 race weekend in twenty-two years. In November 2015 Wolff retired from all motorsports and in 2016 launched her own initiative called Dare To Be Different, in collaboration with the UK motor sport governing body, the Motor Sports Association. She is currently an expert analyst for Channel 4's F1 coverage and in June 2018 Susie was appointed as Team Principal of the Monaco-based Venturi Formula E racing team. 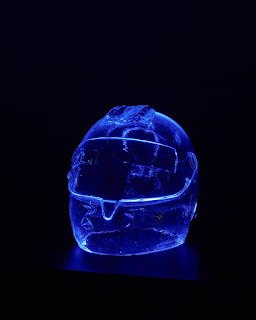 Susie Wolff said “I have the deepest admiration for Angela Palmer and her work so having my helmet as her subject has been a true honour for me. I think the sculpture is stunning and very striking, it’s the most incredible combination of strength with fragility.Seeing the completed piece makes me feel enormously proud and I’m very grateful to Angela for her time and her talent. Just as sport can, art has the capacity to cross so many boundaries, like education, race and religion. I’m delighted to see both sport and art combined in such a brilliant and personal piece of work". Angela Palmer is a graduate of the Royal College of Art in London and the Ruskin School of Drawing and Fine Art at Oxford University. Her sculptures are in permanent collections of museums and institutions around the world including the National Galleries of Scotland, the Ashmolean Museum in Oxford, the Royal College of Physicians, London and the Smithsonian National Air and Space Museum in Washington in the US. 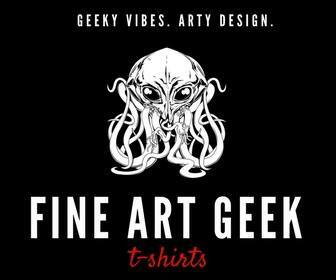 Palmer is fascinated by complex forms, and her interests range from human anatomy to engineering. She has explored different materials and craftsmanship to map and represent character and structure, and her recent work has responded to the beautiful forms found within engines, and in particular Formula 1, which is the laboratory for the most technologically advanced, and highest performing, car engines in the world. The artist was given unprecedented access to engineering data from which she created a recent series of sculptures. Christopher Baker, Director of European and Scottish Art and Portraiture, said “The Scottish driver Susie Wolff has excelled in the world of motor racing and as an advocate for female talent in sport, and we are delighted that she is now represented in the collection of the National Galleries of Scotland in such a fascinating, thought-provoking and unconventional way. 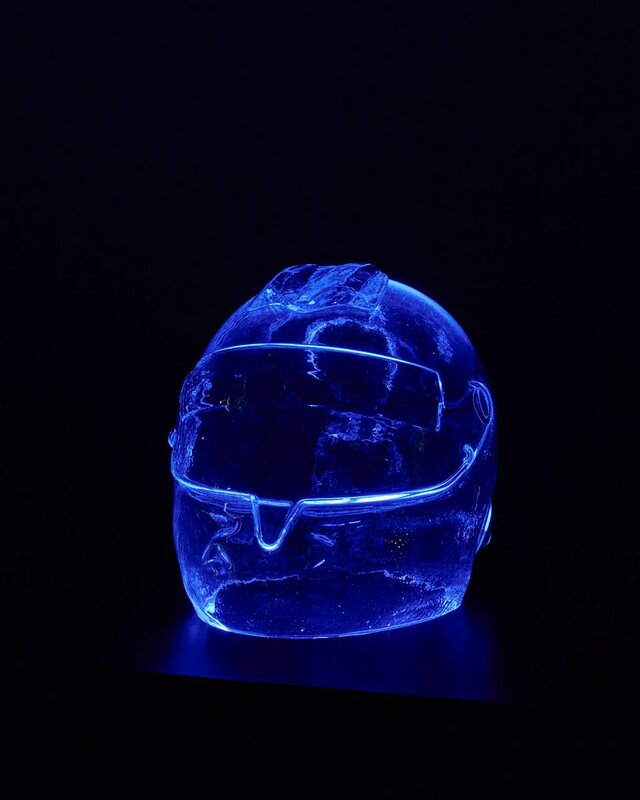 This crystal glass racing helmet, based on one of Wolff’s own, and so carefully crafted through the expertise of Angela Palmer and her collaborators, represents a fascinating form of suggestive representation. It is intimate, elegant and intriguing - a sculpture which both refers to the subject’s outstanding success, and moves beyond the boundaries of conventional portraiture”. Susie Wolff: Portrait of a Racing Driver by Angela Palmer is numbered one in an edition of four and is on display at the Scottish National Portrait Gallery now. Its display is part of National Sporting Heritage Day - a focal point for sporting heritage in the UK - which in 2018, falls on 30 September.